Engaging highly marginalized HIV positive people in sustained medical care is vital for optimized health and prevention efforts. Prior studies have found that strengths-based case management helps link people who use drugs to HIV care. We conducted a pilot to assess whether a strengths-based case management intervention may help people who use injection drugs (PWID) or smoke crack cocaine (PWSC) achieve undetectable HIV viral load. PWID and PWSC were recruited in Oakland, California using targeted sampling methods and referral from jails and were tested for HIV. HIV positive participants not receiving HIV care (n = 19) were enrolled in a pilot strengths-based case management intervention and HIV positive participants already in HIV care (n = 29) were followed as comparison participants. The intervention was conducted by a social worker and an HIV physician. Special attention was given to coordinating care as participants cycled through jail and community settings. Surveys and HIV viral load tests were conducted quarterly for up to 11 visits. 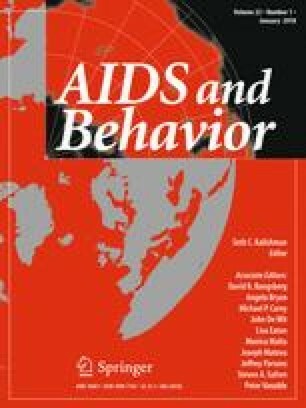 HIV viral load became undetectable for significantly more participants in the intervention than in the comparison group by their last follow-up (intervention participants: 32% at baseline and 74% at last follow-up; comparison participants: 45% at baseline and 34% at last follow-up; p = 0.008). In repeated measures analysis, PBO intervention participants had higher odds of achieving undetectable viral load over time than comparison participants (p = 0.033). Strengths-based case management may help this highly vulnerable group achieve undetectable HIV viral load over time. We wish to thank both NIMH and NIDA for funding and guidance. This study could not have happened without its incredible field team, including Tazima Jenkins, Askia Muhammad, Lenn Keller, and Michele Thorsen. We also want to thank all of the study participants. United States National Institute on Mental Health Grant R01MH094090 and United States National Institute on Drug Abuse Grant R34DA037787.